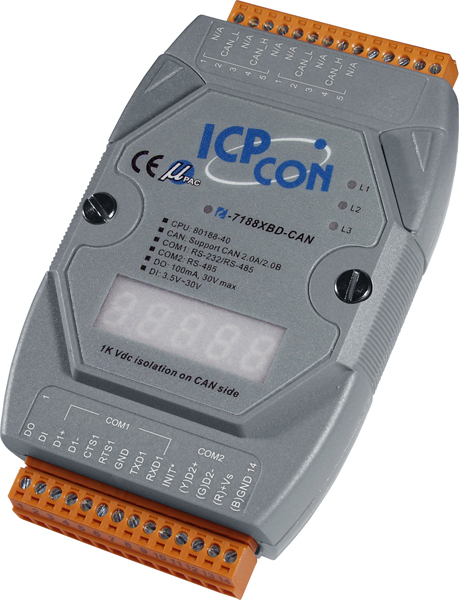 I-7188XBD-CAN | I-7188 CAN bus series Programmable Automation Controller with 40 Mhz CPU. MiniOS7 Operating System. Supports operating temperatures between -25 to 75°C. I-7188 CAN bus series Programmable Automation Controller with 40 Mhz CPU. MiniOS7 Operating System. Supports operating temperatures between -25 to 75°C. The I-7188XBD-CAN series PACs (Programmable Automation Controller) are powered by 80188-40 processor with 512K bytes of static RAM, and 512K bytes of Flash memory. 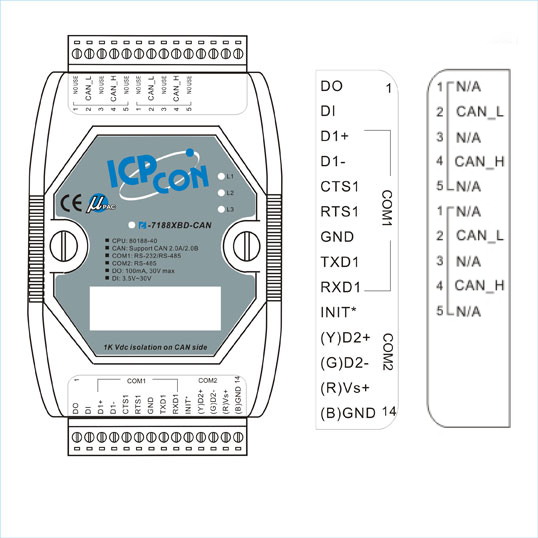 All of them provide several communication interfaces to adapt to various applications, such as CAN port, RS-232 port and RS-485 port. Uses can program their application program flexibly with C/C++ language because of the built-in MiniOS7 operation system. 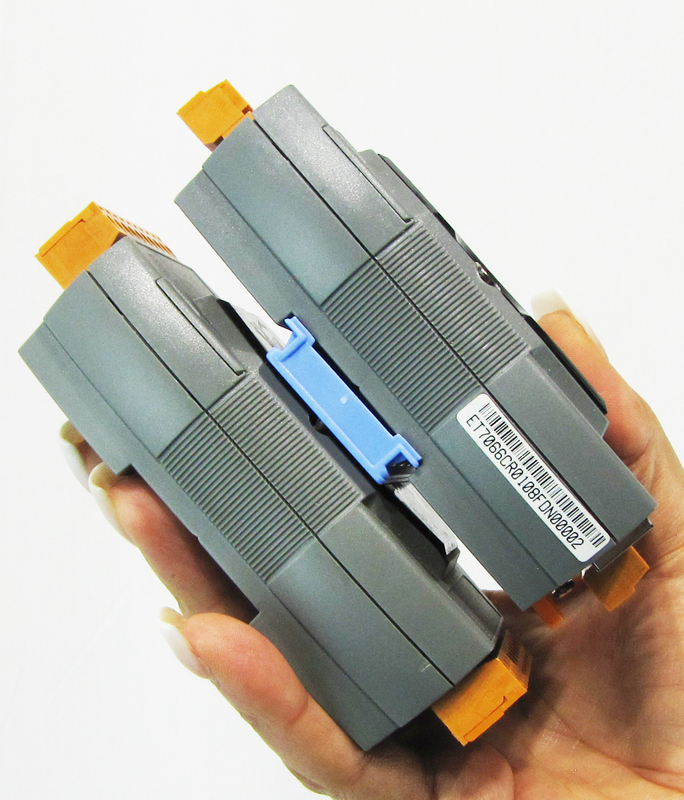 Besides, the I-7188XBD-CAN series PACs have different I/O types for users to match their requirement. 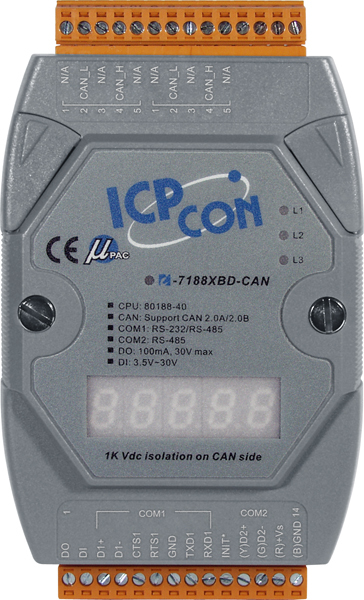 For I-7188XBD-CAN, it provides 1 open collector digital output channel and 1 digital input channel. It is useful for transfer the command from differential communication interface. 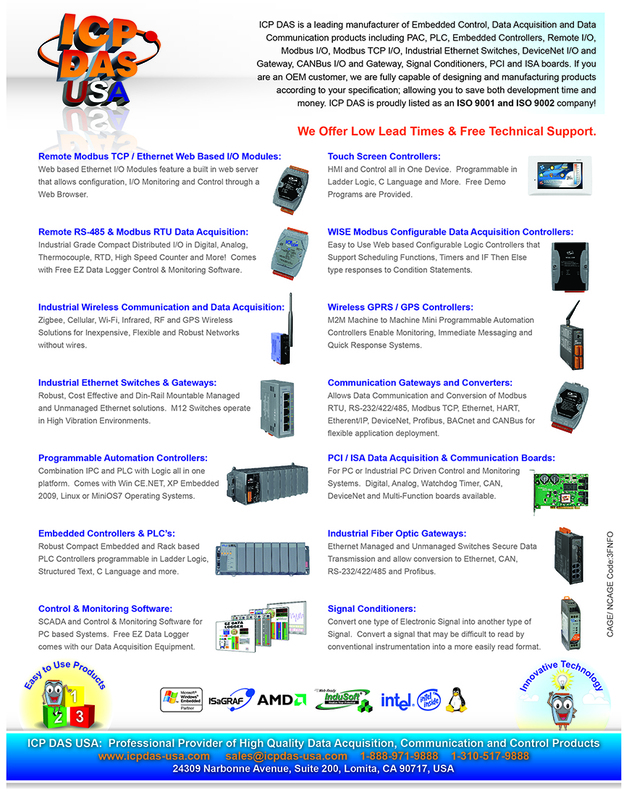 Therefore, it can satisfy the applications with I/O demand. 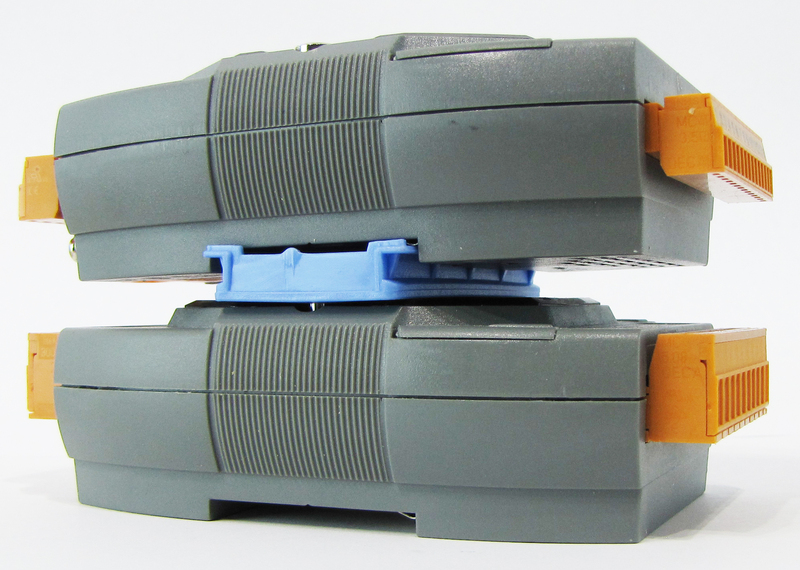 Therefore, the I-7188XBD-CAN series PACs are economic and convenient solution for diversification CAN application. Compatible with CAN specification 2.0 parts A and B. Programmable transfer rate up to 1 Mbps. Hardware Serial No. 64-bit hardware serial No.